Medicaid in Cincinnati: Is It Only for the Poor? It would be logical to tune out the subject of Medicaid if you are a working person who will be qualified for Medicare someday. After all, Medicaid is a health insurance program for the poor, right? You have never been poor. Why would you need to concern yourself with Medicaid? This is a matter that comes into focus when you explore Medicare coverage in-depth. Medicare doesn’t cover custodial care. Custodial care would be the type of care that seniors receive in nursing homes and assisted living communities. However, Medicaid will assist with these expenses. 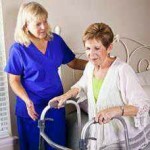 Most senior citizens need help with their activities of daily living eventually. Long-term care is very expensive. As a result, most of the long-term care that is received by senior citizens in the United States is in fact paid for by the Medicaid program. This is why, in Cincinnati Ohio, Medicaid is important for many seniors who were never poor throughout their lives. To be blunt, if you don’t plan ahead, you may become poor paying for long-term care out-of-pocket. You could then qualify for Medicaid to pay for the care going forward. Elder law attorneys assist seniors who are interested in qualifying for Medicaid without losing everything in the process. It is possible to work within Medicaid rules to position your assets optimally. The upper asset limit that you must stay within to qualify for Medicaid is $2000. It should be noted that everything does not count, including your home, your car, and certain personal effects. One thing to consider when you are planning ahead with Medicaid eligibility in mind would be something called a “Medicaid spend down.” You could divest yourself of assets that are countable until there was less than $2000 left. You could do this living it up, but another option would be to give the assets to your children or anyone else who would be the heirs to your estate. The key is to engage in a spend down well in advance of applying for Medicaid to pay for long-term care. There is a five year look back period. If you give away assets within five years of applying for Medicaid, a penalty is imposed. This penalty delays your eligibility. The duration of the eligibility delay will be tied to the amount of money that you divested yourself of as compared to the cost of long-term care in the state within which you reside. Many people stick their heads in the sand when they hear all of this. They decide that it is unlikely that they will ever need long-term care, so they simply don’t address the matter. In fact, most people will need long-term care eventually. Ignoring this reality won’t make it go away. The Zimmer Law Firm team can help navigate this difficult terrain. Please contact us at 513.721.1513.